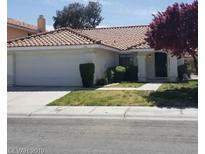 Below you can view all the homes for sale in the Bluffs subdivision located in Las Vegas Nevada. 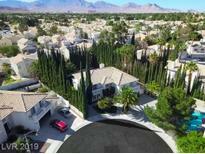 Listings in Bluffs are updated daily from data we receive from the Las Vegas multiple listing service. To learn more about any of these homes or to receive custom notifications when a new property is listed for sale in Bluffs, give us a call at 702-323-5933. Great Walking Trails At The Lakes! Come See! MLS#2088509. Red Rock Real Estate. Wood Floors, All Appliances Stay, Covered Patio, San Diego Vacation/furnished Condo for one week in Sunny Imperial Beach upon closing. MLS#2087712. Century 21 Americana. One of the largest lots in the neighborhood! MLS#2084721. Las Vegas Shorewood Real Estat. *great Layout W/Seperate Living & Family Rooms W/Cozy Fireplace*spacious Master Bath W/Double Sinks,Seperate Shower & Garden Tub*seperate Laundry Room*large 2 Car Attached Garage*good Sized Lot,Fully Landscaped Front & Back*large Covered Patio*you Will Love This Wonderful Lakes Neighborhood MLS#2078263. First Serve Realty. 3 car garage has been freshly painted and floor has epoxy coating. MLS#2080172. Barrett & Co, Inc.
Large space with a pool, covered patio, and lemon tree. MLS#2080442. Southern Nevada Realty, LLC. Home comes with a 30-day buyback guarantee. Terms and conditions apply. MLS#2078998. Opendoor Brokerage LLC. Newer Black on black appliances, built in Microwave, dishwasher and Fridge. All appliance included. MLS#2079931. First Serve Realty. Side gate RV Parking. MUST SEE! MLS#2075930. Congress Realty. *upgraded Elevation & Rock Facades*granite Counter Tops*upgraded Maple Cabinets*24" Marble Floors*upgraded Lighting & Plumbing Fixtures*glass Tile Mosaics, Steam Shower, Upgraded Carpets, Plantation Shutters*1bd & 3/4 Bath Downstairs*near Full Length Italian Loggia Patio Cover W/ Outdoor Ceiling Fans*pond, Waterfall, Lush Lawn & Trees*extra Pad In Driveway For Parking*all Appliances Included*come & See! MLS#2076034. Keller Williams Market Place I. Don'T Miss Owning This Gem! MLS#2071858. Re/Max Titans. THIS IS THE PREFECT HOME for Entertaining! MLS#2072702. Keller Williams Market Place. Spacious upstairs bedrooms, master separate with double closets. 3 car garage. MLS#2066056. Realty ONE Group, Inc. Entertain in the backyard oasis w/refreshing blue pool, covered patio, and easy care landscape! MLS#2065722. Realty ONE Group, Inc.
You Need To See To Appreciate. MLS#2049957. Realty ONE Group, Inc. This house has a very nice floor plan ready for you to move in! MLS#2046181. Centennial Real Estate. Buyer to pay $2,500 short sale negotiator fee to short sale negotiating attorney. MLS#2020543. Platinum R.E. Professionals. Large Bonus Room And Office Upstairs!! Cul-de-sac!! Private Pool! ! MLS#1996478. Las Vegas Investments & Realty.